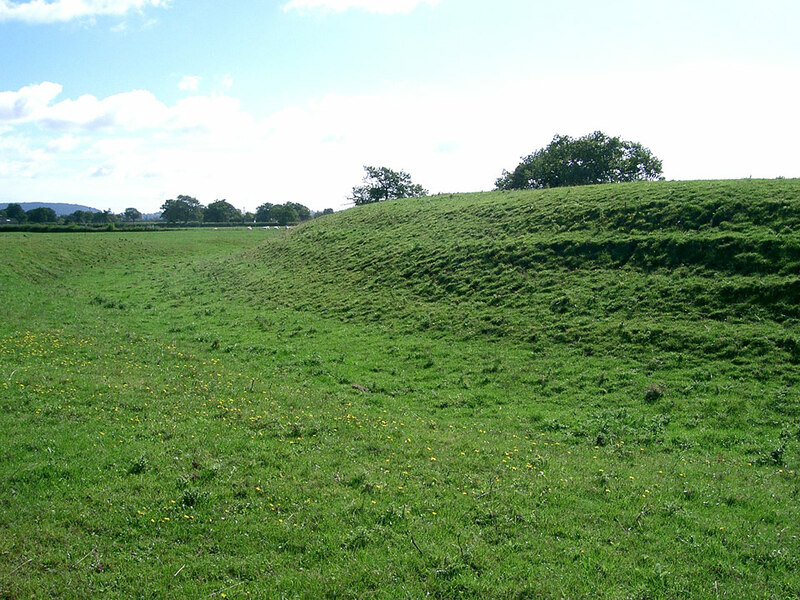 A 20 feet high motte, protected by a deep ditch, is all that remains of the strategically important 11th century Welsh border castle. 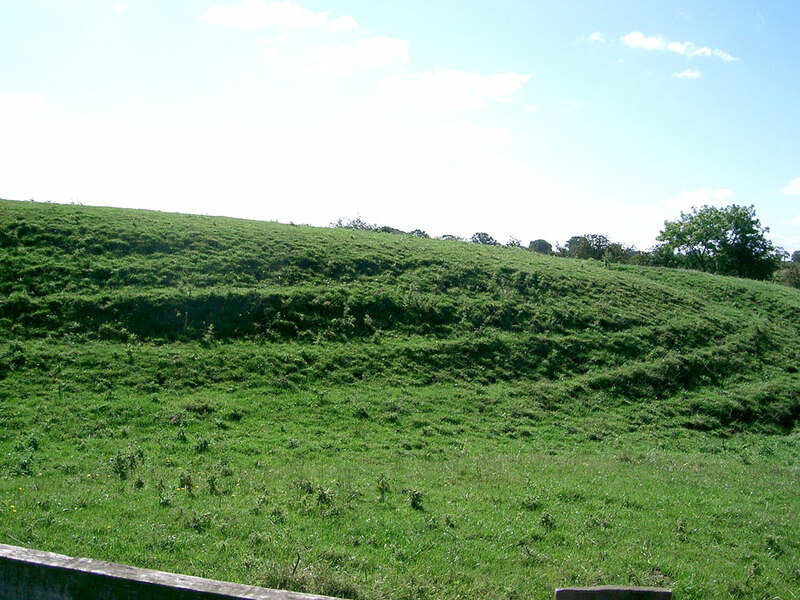 There is a second motte, Old Shocklach, across the road. 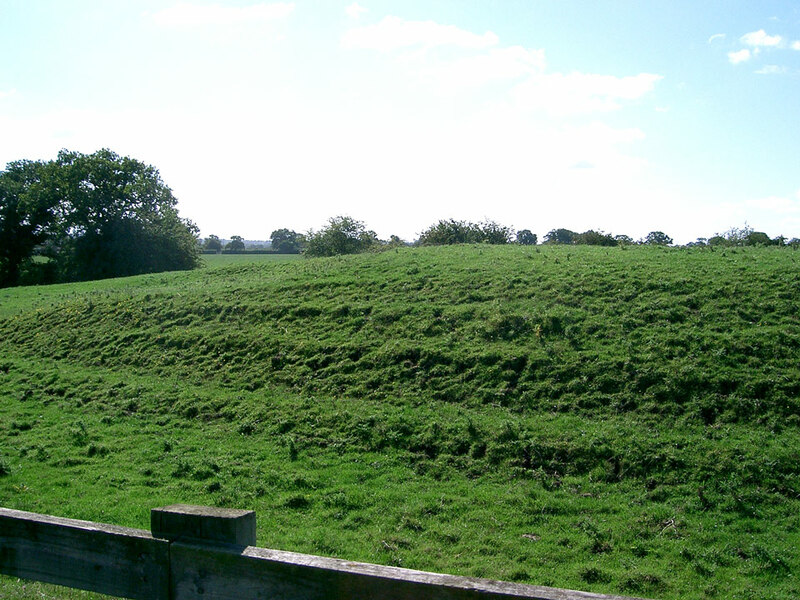 B5069, one mile north of Shocklach.